Bush Trimmer, Tree Trimmers in Taiwan - Wise Center Precision Appliance Co., Ltd.
Over the last 20 years, Wise Center Precision Appliance Co., Ltd. has taken pride in building our business by providing bush trimmer, tree trimmers, shrub trimmer for every application. Our mission is to strive for excellence in all phases of our business and to insure complete customer satisfaction. 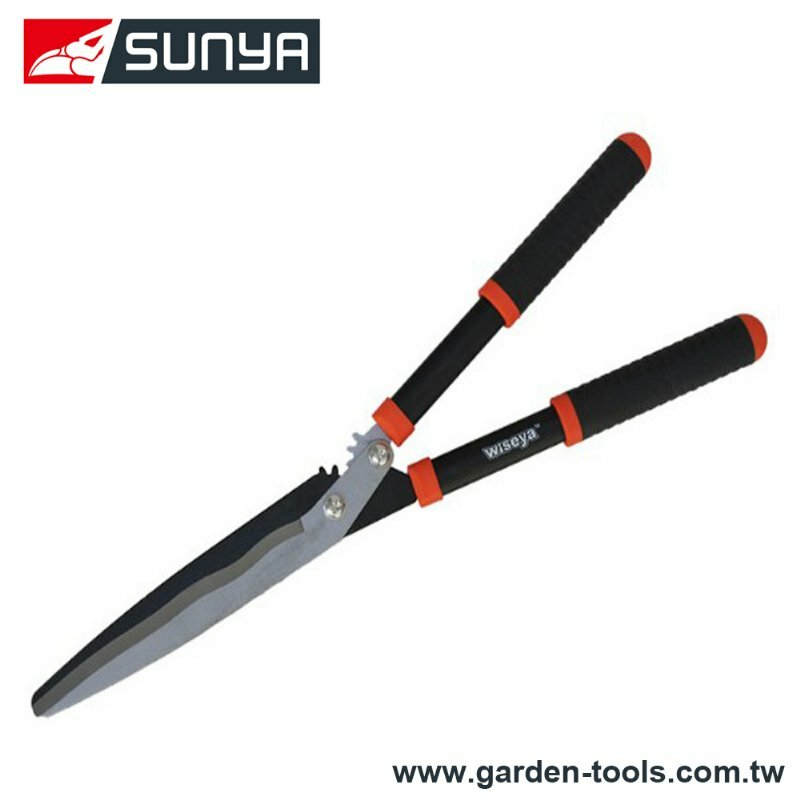 Our bush trimmer, tree trimmers, shrub trimmer are widely appreciated by the customers due to their longer functional life, reasonable price and less maintenance. Our organization is backed by a well-equipped production facility spread across a wide area; this enables us to perform every task in a systematic manner with due consideration to safety and quality. Dear Sir/Madam, I’m interested in Gear Action Wavy Hedge Shear, 255003 that your company provides. Would you kindly contact me with your detailed product information and FOB price? Thanks. With our global manufacturing and customer support capabilities, Wise Center Precision Appliance Co., Ltd. is uniquely positioned to tackle your demanding requirements and provide you the value you expect from a trusted business partner. Wise Center Precision Appliance Co., Ltd. is recognized by our customers as the best provider of bush trimmer, tree trimmers, shrub trimmer throughout the world. We aim to design and build the world’s best performing bush trimmer, tree trimmers, shrub trimmer and accessories, creating the perfect products and services for every type of customer.